Please can all you ppl who have left negative feedback, post an alternative. Thank you. Only 768p, 4GB ram, Dual core, 256GB SSD... Definitely not worth £400. You could probably double all the above specs in a machine for £200 more or so. Cold! Even android phones have more ram, a better CPU and still cost less. I'd never use one of those. Horrible keyboards. At least this futijtsu has a uk enter key. I am thick with this - which one has TN screen ? The Fujitsu or the Lenovo ? Better colour reproduction on an IPS. It's the same type of display used on phones. Just Google TN vs IPS. 'Caveat Emptor' or 'Horses for Courses' ! Briefly perusing the technical specification of this decidedly mediocre Fujitsu Lifebook E458 laptop, I still find it an utterly contemptible situation that currently there STILL appear to be a few neanderthal manufacturers &amp; retailers out there deliberately dragging their feet, who believe that nowadays it's completely acceptable to flog inferior products with such lousy 15.6" 1366 x 768 pixel resolution screens ! I mean jeez guys, isn't it about time that you all woke up and smelt the coffee ? Oh and by the way I'm afraid that at least in MY book, a miserable 1366 x 768 pixel screen on a 15.6" portable is by it's very nature categorically neither HD nor full HD…..no way, José !!! Methinks a quick email or phone call to your local Trading Standards office ought to sort out that little problem and force the retailers to amend their advertising accordingly….. Admittedly a quick search online revealed that other Fujitsu models further up their 'food chain' can be specified with full HD screens, but obviously they are priced higher accordingly, so regrettably in this particular instance it's a unequivocal Cold from me…..sorry ! 768 wouldn't have even been sufficient back in 2010, god knows why they're still palming these panels off on the public. My first PC was am expensive £2000 Fujitsu desktop. Broke 2 months after the warranty expires. Was therefore also my last. Agreed on the RAM. Windows 10 really should run fine with 4GB but in reality it's pretty sluggish in my experience. About ten years ago I signed up myself and gf for the 'Lifebook for life' program, where we each spent about 1k on laptops and every three years get a free replacement for life. So we've had eight laptops now and the only one that went wrong and had to be repaired was the T901 which was a tablet and the digitiser/display went wonky. I am a heavy user and physically mine looked quite worn when it was time to return but they really took the battering very well. So I'm pretty impressed overall with Fujitsu quality, definitely better than the cheaper makes. Same here. Mine has been shipped out today. I contacted BT re: delay and they said because of the delay Paypal payments were cancelled. I was instructed to add a payment card to my BT shop account and let them know to proceed with processing. You can easily run it on an i3. As I said above, I'm running it on a Raspberry Pi 3. Just bear in mind the newer gen will be more power efficient. Can anyone please advise if an I3 processor or i5 could be ok for PLEX server? There are so many generations of above to choose it’s hard to know where to begin. Would an I5 generation 3 or 4 do? Or an I3 generation 3 / 4 / 5 / 6 do? Sorry for the late reply, most good fan brands get their fans tested by various people; do a search for low noise fans, and you will find a lot of sites that review and rate them; often divided into sizes and price bands as well. Noctua make some of the best quiet fans, also very reliable, although not the cheapest. You have to balance how much air they move (CFM), against noise (dbl), and RPM. High RPM usually means more noise, but if it is a high CFM, you can run usually it at 50% and it can be very quiet, and yet still push more air than some of the "silent" fans. Is there a way of knowing how quiet a fan is before testing? My current desktop sounds like a 747, but unsure what to replace it with? I have the ScanSnap iX500 and it is a brilliant bit of kit if you need to scan lots of documents - I've done at least 10,000 pages with mine. The automatic feed is very reliable and its detection of multiple page errors (usually due to missed staples) is very accurate. It's also quick at 20+ two sided page scans a minute and the images it produces are very good. It can be set to automatically detect colour too, in order to keep file sizes down. Haven't used the the OCR software a lot but when I have it has produced good results. One thing I would add though is that the iX500 seems to be £20 cheaper at ebuyer (and still with cashback). I wonder if the AmazonBasics LSD (low self-discharge) rechargeables are rebadged Eneloops?They appear to be made either in Japan or China, which suggests Panasonic/Eneloop, if indeed that's who manufactures them.Also, White Ikea LADDA (LSD) Batteries are also rumoured to be rebadges as well - some speculate they are actually FDK/Fujitsu.AAA £2.40 4/pack (Brown) 500mAh http://www.ikea.com/gb/en/products/lighting/batteries-chargers/ladda-rechargeable-battery-art-30303883/AA £2.90 4/pack (Brown) 900mAh http://www.ikea.com/gb/en/products/lighting/batteries-chargers/ladda-rechargeable-battery-art-20303874/The Brown above are apparently made in China.AAA £4 4/pack (White) 900mAh http://www.ikea.com/gb/en/products/lighting/batteries-chargers/ladda-rechargeable-battery-art-90303880/AA £5.50 4/pack (White) 2450mAh http://www.ikea.com/gb/en/products/lighting/batteries-chargers/ladda-rechargeable-battery-art-70303876/White are being compared to Panasonic/Japanese Eneloop Pro in this Youtube video (at 6:20). The White LADDA batteries are made in Japan. White LADDA batteries are discussed here too: http://budgetlightforum.com/comment/910897#comment-910897LADDA (White sleeve) AA 2450mAh tested: http://budgetlightforum.com/node/47233 Apparently the discharge curves look identical to the Fujitsu (FDK) cells as well, so it's rather confusing.In any case, the LADDA White could be a great, cheaper alternative.Edit: The Youtuber in the above clip (AirbourneSurfer) actually replied to me: "FDK manufactures all Eneloop-spec batteries under license from Panasonic--including branded Eneloop cells. The factories in Japan are still tooled for the "Eneloop Pro" spec so any NiMH cells made in Japan are made at one factory, owned by FDK, and licensed to various brands. "Man, I'm probably more puzzled than I was before I started compiling this Deal post :p :D !! On other forums it's implied that Panasonic (Eneloop) and FDK are completely separate from one another. Perhaps it is true that Japanese Eneloop (Panasonic) and FDK Fujitsu batteries are made in the same factory. Not a lot of love out there for Chinese Eneloop (Panasonic), though. It is a result of reduced materials to get more electrolyte inside. It is the high quality that still allows a decent and real 500 cycles. Fair point, I was looking at the 2 bay vs the 4 bay. Not really a fair comparison. It's Liitokala for anyone wanting to follow that up - but the ones that do the job properly seem very little, if any cheaper. Good chargers but you don't need to spend anywhere near that amount for a decent charger. Littokala is a pretty good budget brand from GearBest. if you leave something which requires batteries alone for 5 years who cares about the charge amount, you are a hoarder. Buy a decent charger for these - they deserve it. One of these should suit very well: https://www.7dayshop.com/products/7dayshop-pro-series-intelligent-lcd-aa-aaa-nimh-and-18650-li-ion-battery-charger-multismart-3000-wh2-ds-225 https://www.amazon.co.uk/d/Household-Batteries-Battery-Chargers/XTAR-VC4-Battery-Charger/B01D8464S6/ The XTAR may well be available more cheaply elsewhere, but the Multismart 3000 can only be obtained from 7DayShop - though there are similar ones (usually dearer). ​oh i didn't know you could compare with cpu benchmark! i normally put in individual processors. will have to work out how to do that.. particularly on my phone as always replying to people on here ! Nobody should check CPU boss, it trawls the internet for data and posts misleading comparisons. 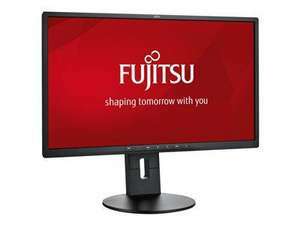 Fujitsu B24W-7 24" 1920x1200 5ms VGA DVI-D USB LED Monitor - £1.34 / £4.32 delivered @ BT shop - Price Glitch? Monitor for £1.34?!?!?! Price Glitch? BT saying they can't get one from the suppliers, I bet they have them back on at the right price! Genuine error maybe but can't stand when companies use an excuse and don't just admit they failed! Just had a van of these arrive at my warehouse, special thanks to Frank for providing the special frank30uk discount code. I saw a pixie down the bottom of my garden once. it states on the OP batteries recharge over 2100 times, on the batteries you posted it only says 500 times! also the same batteries are only £4.79 on 7dayshop! Am I going mad? How is £515 minus £150 cash back £335? Unless they are giving you £150 plus 20% extra for VAT back or someone letting you avoid paying VAT until after you get your cash back? 515-150 = 365 to me. i personally wouldnt be too bothered about their speed as i would look to add the os drive to one of those two ports, with the other 4 having drives in raid. Highly recommend these devices. Got a S1500 many years ago and it's still doing a great job. just bought one earlier. I thought I saw them on a lightning deal for £250. After spending 1 hour 45 mins scanning 140 pages on a flat bed scanner I am hoping this will speed things up alot! Great find. I too got one of these around the same time, and to me it's one of the best Scanners you can ever have. So if anyone is still thinking about getting one, the should get one very soon as at that price they will be out of stock very soon. Bought one March 2014 for £370, which considering the amount I have scanned with it (ca. 400k pages to date) is peanuts for the effort it has saved me. At this price it is an absolute steal, and i am tempted to get another for the day the current one finally dies. Very compact for small office / home office. Probably not a deal for everyone but this model hasn't been at this price for ages. Can also automatically rotate the odd page that has been scanned upside down. Heat added! What is not obvious from the photo is that these have an ADF that holds up to 10 pages. It's also a double-sided scanner, and fast. I have a double-sided Canon scanner, that cost over £300. I use it all the time. I file virtually nothing, and just keep scanned copies on the PC. This little machine will do the same job for £138. This ought to be boiling hot! I have the previous model S1300. These things are a brilliant time saver if you need to do document scanning. All back in-stock for anyone who wants them. Yes, everyone else who has used, tested, and studied NIMH battery technology is entirely wrong. I bow to your knowledge. Who even knows this much about batteries? You sound a bit like an advert ;) but I'll take your word for it. Can't see why this is sub zero. Google Shopping Search doesn't find a better price. :| Would the cold voters care to say why it's cold? I'd like to buy this but the maximum I'm prepared to pay is £50. Yes, it was a lower price for a day or two a year ago but that price is gone. This is the second lowest price it has ever been. Absolutely brilliant scanner. Doesn't have TWAIN support though, so if you want that, look elsewhere. OP .. would help if you mentioned somewhere in your Deal that eBuyer was the primary Merchant for your Deal ..... lol. 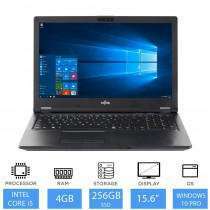 Probook 450 G2 with i5 5200U, brand new is £300. It is a proper business laptop which are high quality. The i5 5200U is used in most of current i5 laptops. It has a passmark of 3515 behind 3230M. But only consume 40% power, less heat. Why would anyone waste time with this old lifebook? Supercold. bulky, urgly, thick old style laptop, old model with bad screen, bad battery, bad case, bad quality overall. no SSD or FHD and refurbished at £267. There are some classic models which are good, Lifebook is not one of them. Why? CPU performance has stagnated since Ivy Bridge (well, actually Sandy Bridge) and this i5-3230M is still faster than the Skylake Ultrabook CPUs like the i5-6200U. Here are the Passmark scores: Intel Core i5-3230M @ 2.60GHz = 3,919 Intel Core i5-6200U @ 2.30GHz = 3,912 Having said that, if this was something one of their premium business class ones like the like the E733: http://www.notebookcheck.net/Review-Fujitsu-LifeBook-E733-0MXP41DE-Premium-Selection-Notebook.104931.0.html this wouldn't be a bad deal. 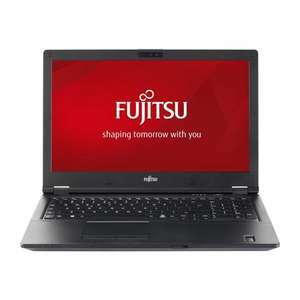 However, it is only for one of Fujitsu's cheap consumer laptops: http://www.notebookcheck.net/Review-Fujitsu-Lifebook-AH532-Notebook.81495.0.html So, not a good deal IMO.